Sparkle Me Pink: The 4K Giveaway !! I'm so excited to finally have over 4,000 Friends on Facebook and almost 4,000 Friends on Twitter!!! Thank you for all the love and support, so I got together with some great friends to bring you this wonderfully fun Giveaway Event/Hop! I'm so excited to bring you all my 4K Friends Giveaway Event/Hop which is hosted by Blessed Domestic Diva, Newly Crunchy Mama of 3, Spit Up is the New Black, and Adventures of a Frugal Mom! I could not decide if I wanted an Event or a Hop, so I combined them! Make sure you go all the way to the bottom to check out everyone's great prizes!!! We are giving away to *ONE WINNER* the Grace Adele Bag of their choice ($80.00 value)!!! Now this bad has a lot of accessories and the clutch but it's truly adorable and I'm so excited one of you will win this!!! Please fill out the Rafflecopter form! 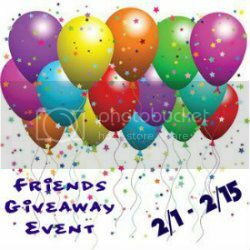 Giveaway ends 2/15/13!!! When you are done with the Rafflecopter please don't forget that we have some great giveaways going on too!!! Disclosure: Blessed Domestic Diva is responsible for the Event Prize Shipping and each Blogger participating in the Hop is responsible for shipping their own prize or having a Sponsor ship a prize. For information about shipping for the Hop please see each blog specifically. I find the hops can be confusing if they are not properly listed ... ie: eligible country. I love hops - but either is very cool!